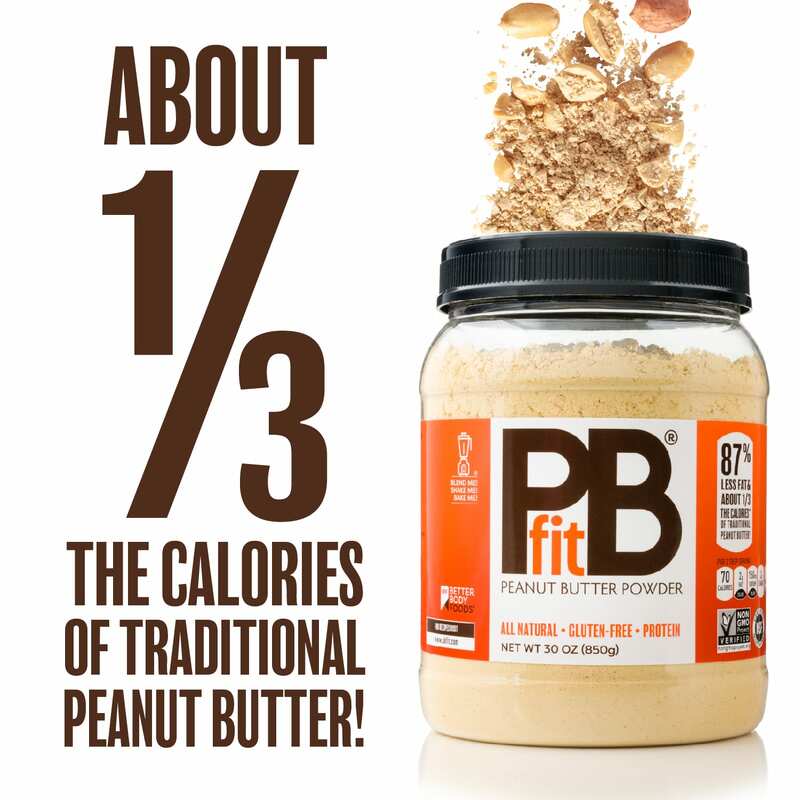 PBfit is peanut butter powder. We make it by pressing gently roasted peanuts to remove most of the fat and calories. Then we grind the peanuts and mix in some coconut palm sugar, and a pinch of salt. 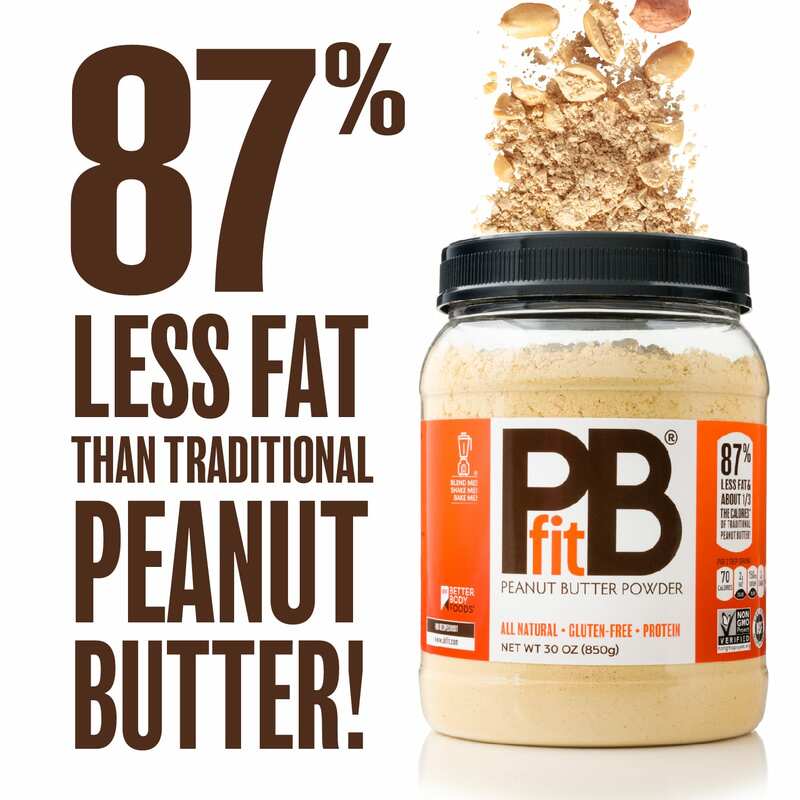 The result is a delicious peanut butter powder that has 87% less fat and 1/3 the calories of traditional peanut butter. Not only is PBfit delicious, but it is also incredibly easy to use. You can mix it into anything from oatmeal to Thai peanut sauce. Or you can just add water and make peanut butter! Imagine snacking on peanut butter that’s only 70 calories vs. 188 calories and 2g fat vs. 16g fat compared with regular peanut butter. That means, guilt-free smoothies, PB & Js, peanut butter dips, oatmeal, cookies, pancakes – you get the idea. It’s your new non-guilty pleasure. What Can I make with PBfit®?